Knitters, quilters, hookers, and other hand-workers of all sorts and skill levels–come gather in the bucolic setting of Dandelion Spring and Straw Farm in Newcastle, Maine. Join us for an afternoon of companionship, laughter, and progress on all your UFO’s surrounded by the fields, animals, busy farmers, and an abundant farm stand. While this is not a class, I’m happy to answer questions to the best of my ability—dabbler as I am in many things… And truly the best thing about a bee is the community and shared creativity. It is a time to be inspired by and to both learn from and teach each other. It should come to no one’s surprise that when I say that I need to knit down the stash or de-stash it is really me just readying an excuse to buy more yarn. “It’s a mental illness,” to quote a friend. Yep. And I’m refusing therapy. Gorgeous skeins of Fino by Manos del Uruguay. This week the studio is filled to the brim with my first shipment of Manos del Uruguay yarns. I’m thrilled to be carrying so many beautiful skeins and am itching to begin designing with my new fiber friends. Somehow I ended up grown up enough to be showing a little bit of restraint, though. I’m intent on finishing up the pattern for the Fisherman’s Bunting, a project that requires much counting and my wrists are filing complaints against cables, but even still my days are busy with no idle hands and my imagination is running wild with new designs to come. Swatching with Fino, I feel like I am knitting a sunset. One of the most irksome parts of knitting is attaching a new skein of yarn after finishing the first. This is especially true for me since I do so much knitting in the round. I rarely have a seam I can hide a tail in. Then the clouds parted, the gloom lifted, and yarn join nirvana descended from the heavens. I was in love. I can only guess that the Russian Join originated if not in Russia, then at least someplace in Eastern Europe (a quick Google search failed to elucidate me). That could explain why this Polish girl gravitates towards it. In truth though, everyone should add this simple technique to their repertoire as it offers a near invisible yarn join for so many different types of yarn. 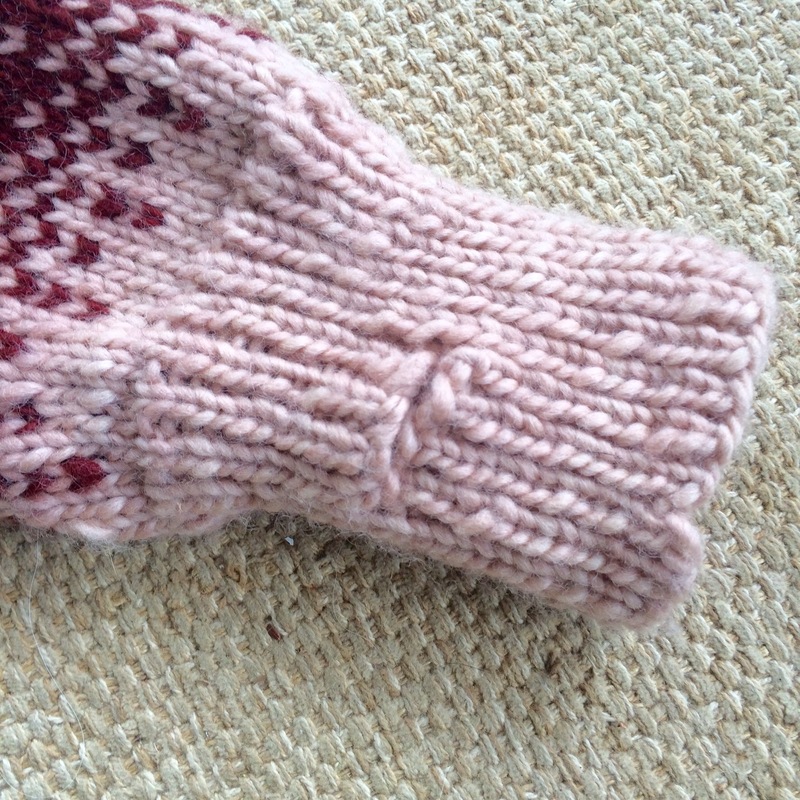 In the example below, I’ve used two different colors of cotton yarn for visual clarity. Other than that, the only tools you need are a yarn darning needle and a pair of scissors. Thread the first yarn through your needle. Cross the tails of the two skeins of yarn you are joining. Loop the first yarn back over itself, capturing the other yarn. Thread the needle through the center of the yarn for about 3". Pull the tail of the yarn, tightening the loop snugly down against the other strand. Repeat the same steps with the other yarn tail. Trim off any excess tails. I’m not sure if I should knit with these yarns or just eat them up, they are so yummy. Talk about eye candy. Spring arrived in a package from UPS yesterday.